A 64-year-old pilot from suburban Chicago was killed early Sunday shortly after taking off from a Kansas airport, according to the Atchison County Sheriff's Office. Pilot Vlado Lenoch, of west suburban Burr Ridge, and passenger Bethany Root, 34 of Atchison, Kan., were identified as the victims. The plane crashed at about 10:15 a.m. near 234th and Ness Road in Atchison County. The plane left the Amelia Earhart Airport in Atchison around 10 a.m. The plane that crashed was believed to be a P-51 Mustang -- named the "Baby-Duck" -- that flew along the Missouri River in the air show at the Amelia Earhart Festival Saturday evening, authorities said. Lenoch's love of aviation began in 1970 when, at age 17, he learned to fly at Chicago's Midway Airport, according to a bio on the Air Force Heritage Flight Foundation. He earned an aeronautical engineering degree from Purdue University and a master's degree from the Massachusetts Institute of Technology. After college, he worked at the Boeing Commercial Airplane Company in Seattle as a 747 instructor. He was most recently flying a corporate Citation jet for a private company in Illinois, according to the foundation bio. He was married with three children, the online bio said. Lenoch had flown in the Chicago Air & Water Show. In a statement, the Department of Cultural Affairs and Special Events, organizers of the Chicago Air and Water Show, said: "Vlado Lenoch was more than a pilot, he was a hometown hero and a friend. 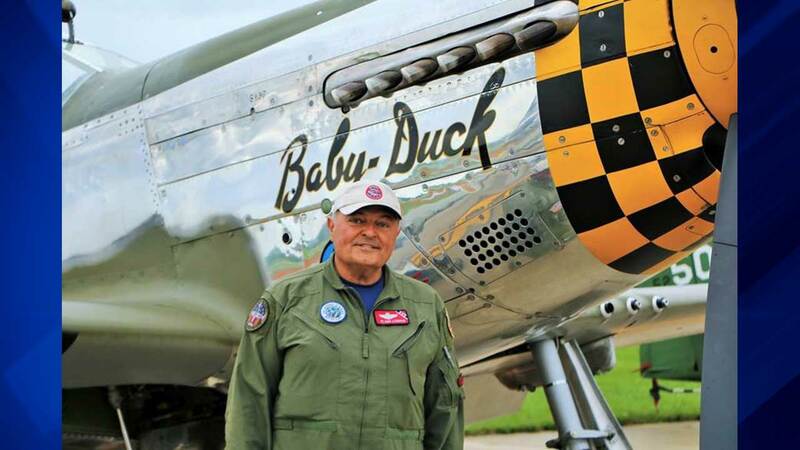 Originally from Burr Ridge, he became an institution at the Chicago Air and Water Show, flying the P-51 Mustang for a number of years as a solo act and as part of the U.S. Air Force Heritage Flight Demo Team. Our thoughts and prayers go out to his family during this difficult time." Aviation photographer David Brown said that Lenoch was a friendly and affable guy, who was also a very talented pilot. Brown said he was looking forward to seeing him in Oshkosh, Wis., next week for the aviation event, AirVenture.